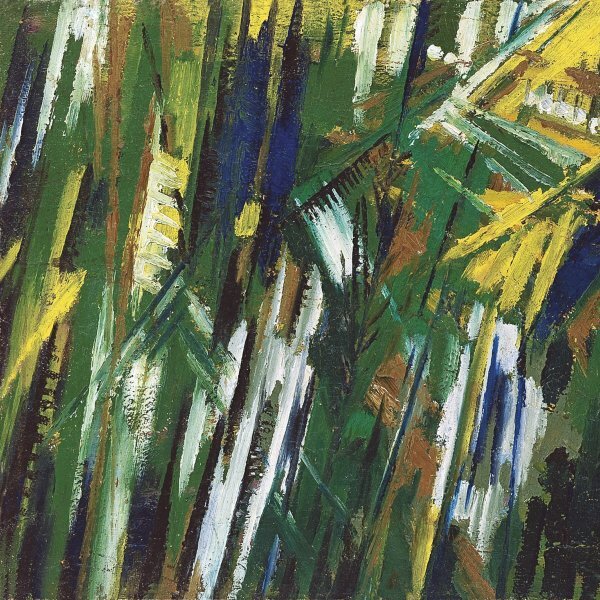 A foremost member of the pre-First World War Russian avant-garde, Mikhail Larionov, together with Natalia Goncharova, was the initiator of Rayonism, a non-figurative style closely connected with Italian Futurism. He trained at the Moscow School of Painting, Sculpture and Architecture, where he met Goncharova, his lifelong companion. In 1908 Larionov was involved in the preparations for The Golden Fleece exhibition, where the French Post-Impressionist and Fauvist works aroused his interest. 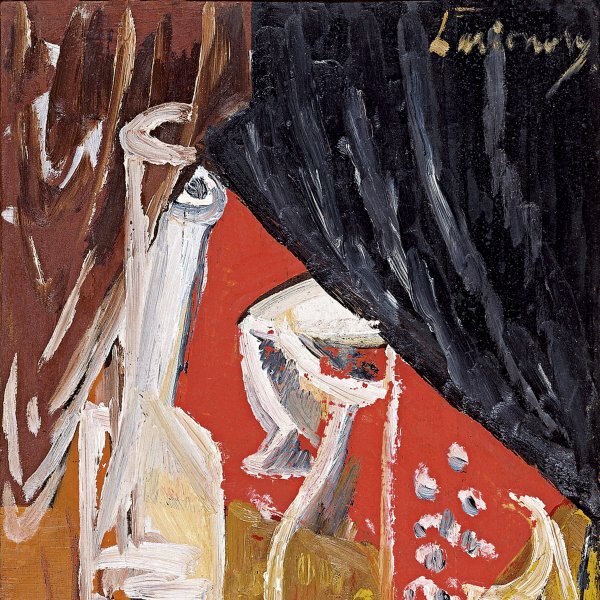 Larionov’s style changed, giving priority to vibrant colours and thick brushstrokes, which he would later use as a tool for creating a Neo- Primitivist art. In 1910 he was a founding member of the Jack of Diamonds, which he left to set up The Donkey’s Tail in 1912. Around this time, when he began to frequent the company of the country’s literary avant-garde, he produced his first Rayonist compositions and wrote three manifestos expounding the theories that underpinned the movement. In 1914 Larionov visited Paris to attend the premiere of Serge Diaghilev’s ballet Le Coq d’or, for which Goncharova had designed the stage scenery. He joined her in collaborating with Diaghilev and together they travelled with the company to Switzerland, Spain and Italy in 1916.He settled permanently in Paris in 1919. During the years that ensued he continued to work with Diaghilev and was Goncharova’s representative, as he had been in Russia.When Diaghilev died in 1929 Larionov devoted himself more intensely to figurative painting in oils. Larionov’s last years were marked by financial straits and precarious health. A series of exhibitions contributed to the recognition of the important role played by him and his lifelong companion Goncharova in the development of the twentieth-century avant-garde. They married at last in 1955 and in 1964, two years after Goncharova died and a few months before his own death, he wed his second wife Alexandra Tomilina.